Preparing for a lifetime of service in the Kingdom of God is like training for a marathon. Marathon runners prepare differently than those who only run a short distance. The seminar will take place in our beautiful re-purposed hotel facility, in the heart of Kona, just a mile from the University of the Nations Campus. 5 weeks of intensive teaching from experienced speakers. Enjoy Hawaii in springtime and grow your leadership and character. Includes food, accommodation and tuition but not you airfare. Topics are presented in a way where we will discover God’s plan for leaders and what it means to start well, stay well and finish well. We have the great privilege of having the founding team of the original SOMD (School Of Ministry Development) facilitate this seminar and they have invited some wonderful resource teachers and coaches. Do the seminar of ministry development now! Werner Pfau was born in 1963 and grew up in the Black Forest, Germany. After high school, he graduated from trade school as an electrician journeyman and also served in the German army as a tank driver. After the army, he continued in his profession until 1988 until he joined Youth With a Mission (YWAM) in 1988 after giving his life to Jesus Christ. In 1993 he married Julie while both were serving in YWAM. In 1997 he graduated with an M.A. in Intercultural Studies from Fuller Theological Seminary with a focus on Leadership. They helped pioneer and lead the first School of Ministry Development in YWAM in 1998. After seminary, they also started a small local furniture business which grew to several locations in parts of CA and TX and a massive online sales department using Yahoo stores and eBay. During that time, Werner also completed the Myers Briggs Qualifying Training program and was part of the faculty of three separate Leadership Training schools overseas with YWAM. These schools featured students from over 60 different countries and were held in multiple languages. This experience, along with his proficiency in several languages, enhanced his cross-cultural work and ministry platform. 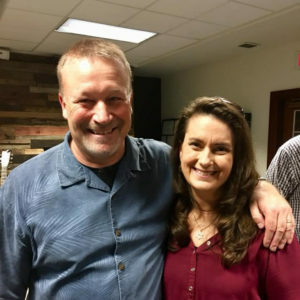 Werner and Julie closed their companies down in 2007 and re-joined their YWAM tribe where they have serving full time since then. Werner served in various roles such as school leader, training director, base leader and President of the Board for the past 11 years. In 2013 they went to Israel for the first time and have since been involved with Israel Food Outreach, ministering to Holocaust survivors. They are passionate about reconciliation, leadership development and Business as Mission and live with their three daughters in Sunland, California. 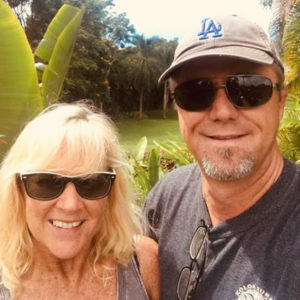 Conrad Küsel has been in full-time ministry for the past 20 years at YWAM Los Angeles, leading DTS for 10 of those years, as well as being part of the inaugural SOMD in 1998, and then leading the SOMD for the next 4 years. Prior to joining YWAM full-time in 1999, Conrad spent 2 years in the military, followed by 4 years in college, and subsequently managed his family’s agricultural business for 7 years. One of the things Conrad is passionate about is to help young leaders, especially those leading and staffing DTS’s, to be well trained, well supported, and to have a healthy and consistent pastoral covering. Conrad speaks regularly in the DTS, mostly on the Father Heart of God, Relationships, Loving Confrontation and Conflict Resolution, and he also teaches on Re-Entry. Conrad & his wife Bonnie have been married for 25 years, and they have 3 sons, Tim (23), Christopher (21), and Gabriel (18).